The days are gone when you have to take keys or flash with yourself to present your research or to enjoy videos and photos on the TV screen or on the multimedia. Thanks to the HDTV HDMI Adapters, that can help us to share the pictures on the big HD-TV, enjoy videos and movies from your iPhone on your TV. If this is what you are looking for, read on. Connecting iPhone to anything wirelessly was one major issue that is fortunately, being resolved by the advancements in technology. Now with the use of such Lightning to HDMI Adapter, you can achieve all. But the question is which kind of lightning adapters to use? Here’s what you can choose to connect your iPhone 7 to TV or any external monitor / projector. 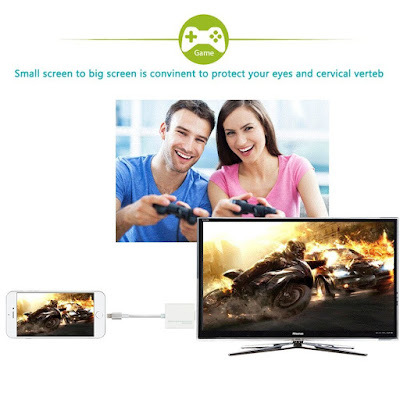 Plug & Play Lightning 8-pin to HDMI Female Video Adapter is the one option that you can consider while looking to connect your iPhone 7 to any external monitor (big screen) or projector. The adapter is compatible with all iOS 8 to 10 versions. The first and the most important feature of this adapter is that it is easy to carry and use an extra Micro USB cable to plug into TV USB port or power adapter to charge. This means, whether you are on your visit for office meeting to another city or in hotel room, you can present your research and enjoy films on the big screen. Another amazing feature of this HDTV adapter is that it offers HD video content to enhance your video experience. 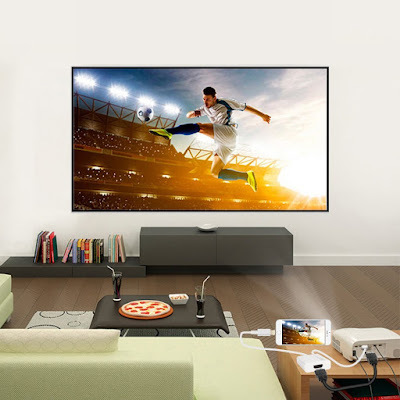 Whether you want to watch films, TV programs or captured videos from your phone to TV, and play HD games on big screen. This adapter allows your iPhone and iPad to easily connect and configure your displays for an external and extended display. The Plug & Play Lightning 8-pin to HDMI Female Video Adapter offers wide compatibility with the iOS devices- both iPhone and iPad. 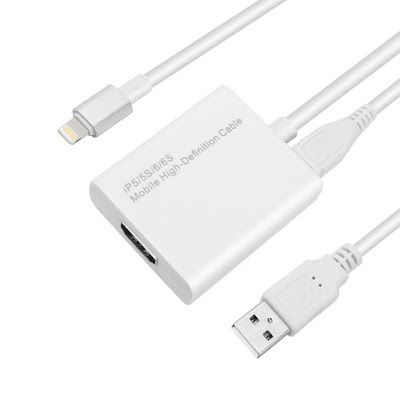 Whether you are looking to connect your brand new iPhone 7 to TV or your previous 5 or 5s, your iPad mini 2 or mini 4, this adapter can connect all. You need to only click a single time to connect what you want to the TV screen. You do not need to adjust the mirror function or wait for hours to connect. Only single click, 10 seconds and you are ready to go. In a few simple steps, you will be able to connect your iPhone 7 to HDTV. For this, you need to purchase Plug & Play Lightning 8-pin to HDMI Female Video Adapter. Connect one end of the cable to your TV and the other with the Lightning Digital AV Adapter. Then connect this adapter to the lightning port of your phone. Play your media at the big screen and enjoy! Well, this simple application let you experience HD theatre at home – almost free. Previous story How To Shoot RAW Photos on iPhone 7 Plus with Camera+ App?